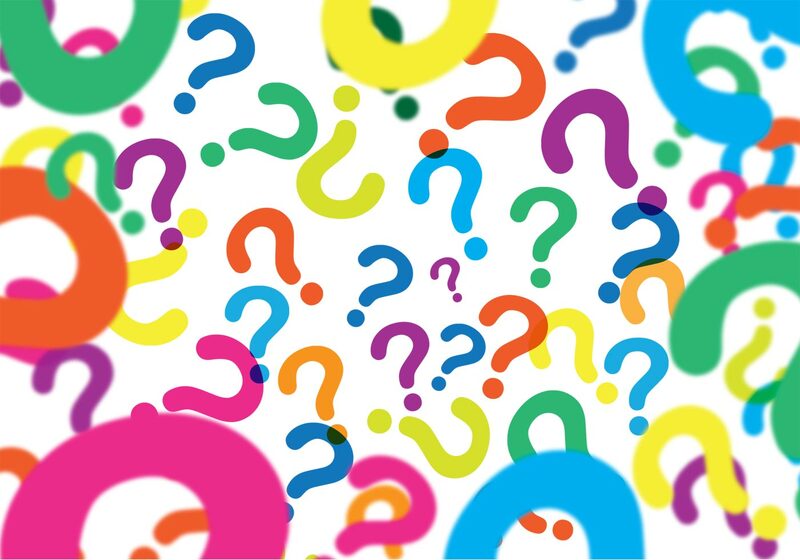 The following FAQs have been submitted by people interested in using Wan'din'in Arts Space. Are staff and/or volunteers available to answer queries during exhibition opening times? Are staff and/or volunteers available to handle sales of work? 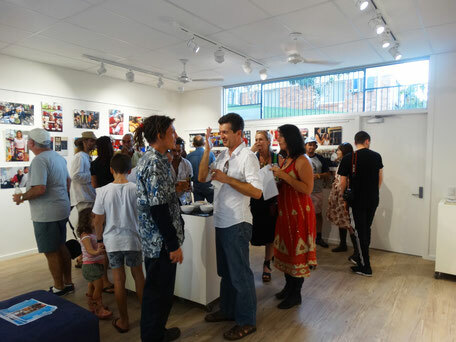 Yes – only during the opening times that coincide with Discover Eumundi Visitor and Heritage Centre. What is the procedure for sales of work on opening night? Approximately how many people visit the Arts Space on a daily basis? What times and days is the Arts Space open? Open/staffed six days a week. Centre is closed but Sunday access is available for workshops and events. What day can I have an opening of my exhibition? What are the details of the hanging systems in the Arts Space? Does the Arts Space cater for 3D works and if so how many plinths are available? Yes 3D work is catered for. There are approximately twelve plinths of various sizes. Can the artist safely display small and/or precious objects in the Arts Space? The facility has a variety of acrylic tops for plinths and two glass display cabinets. Would there be extra staff or volunteers available if requested for an opening event? Is there adequate access for delivering works to the site? Is there adequate car parking space available for an opening event? 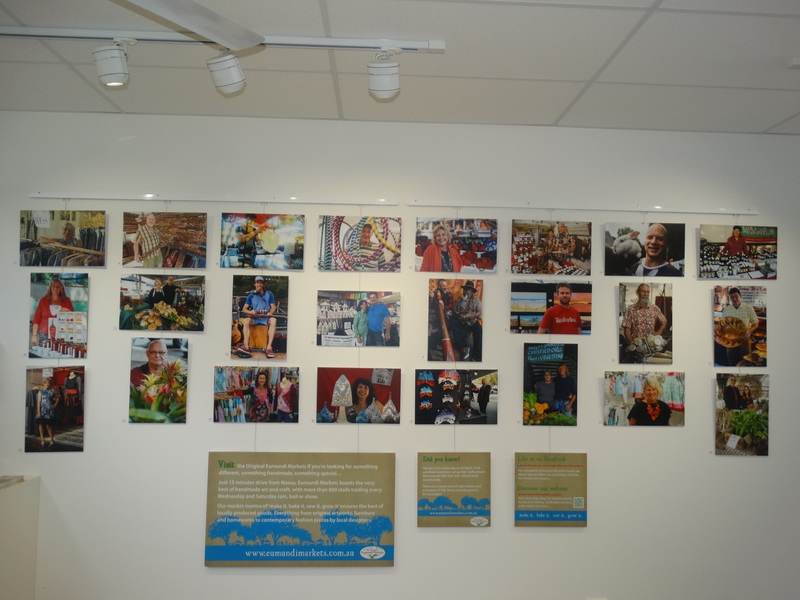 Does Discover Eumundi charge a commission? What are the details of the hanging systems in the Art Space? 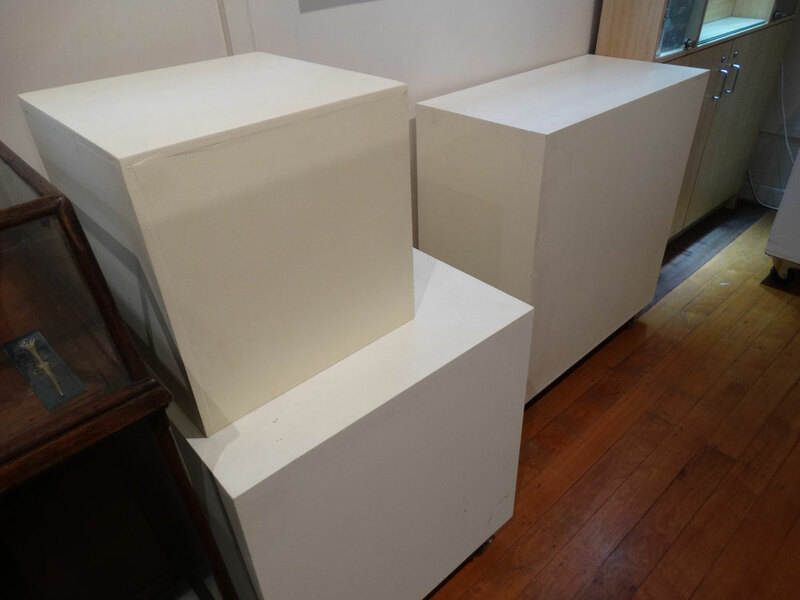 Does the Art Space cater for 3D works - how many plinths are available? Yes 3D work is catered for. There are approximately 12 plinths of various sizes. Can the artist display small and/or precious objects in the Art Space? There are a variety of acrylic tops for plinth tops and a number of glass display cabinets. Would Discover Eumundi volunteers be available to assist with an opening event? Is there good access for delivering works to the site?